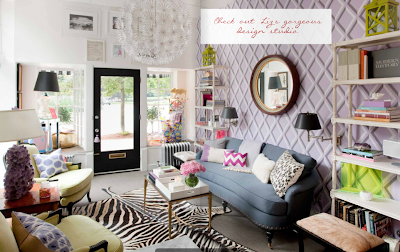 The latest issue of Ivy & Piper featured some beautiful spaced designed by Liz Caan. 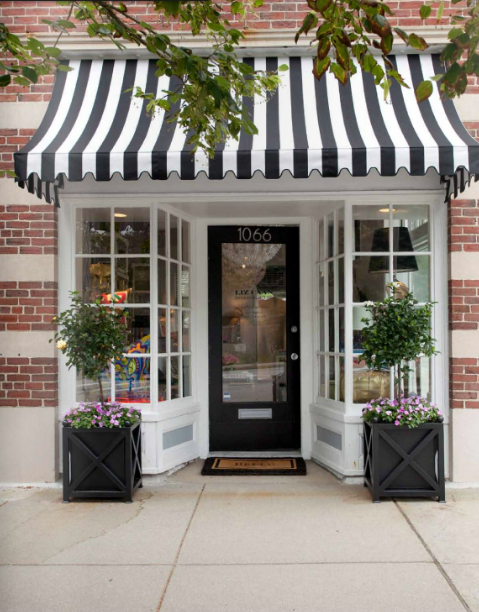 Liz Caan Interiors is located in Newton, Massachusetts, and even their storefront is amazing. I usually don't share rooms by designers unless I am inspired by a lot of work in their portfolio. Liz is one of those people. Let's take a look. Here is the inside of her design studio. Wouldn't you love to work here? I know I would! This master bedroom is so sophisticated- a traditional space with just the right amount of contemporary elements. This little boy's room is so sweet. 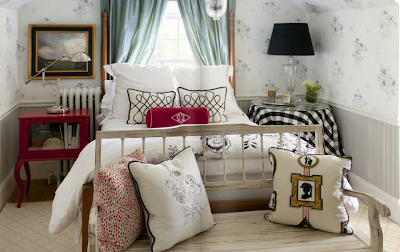 I love the open storage and streamlined upholstered headboard... and the striped walls. Don't get me started on the striped walls. What a cheerful entry! Hello, chevron stair runner. I would love to make you mine! 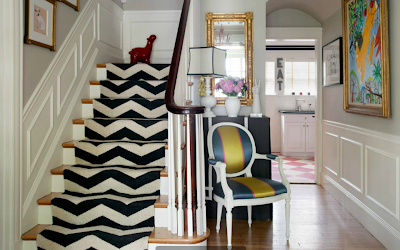 Are you as obsessed with these spaces as I am? Which is your favorite?